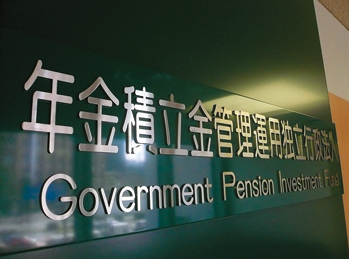 On February 27th, GPIF- the world’s largest pension fund with AUM 162 trillion JPY(1.44 trillion USD), announced its decision to implement a multi manager strategy through a fund of funds to pursue fund investments and co-investments. They have appointed Nomura Asset Management Co. Ltd as their gatekeeper, and Pantheon as their Fund of Funds Manager. This is their second appointment for global infrastructure mandate, their first made on January 12th when they announced the decision to appoint Sumitomo Mitsui Asset Management Company, Ltd as the gatekeeper, and StepStone Infrastructure & Real Assets as the fund of fund manager for their Global Infrastructure Mandate (“Core Strategy”). This announcement follows the RFP launched in April 2017 to implement alternative investments “Multi-Manager” strategy through fund of funds in pursuit of fund investments and co-investments. On December 19th 2017, they announced Mitsubishi UFJ Trust and Banking Corporation as their investment manager to implement alternative investments through a fund of funds real estate mandate (domestic core strategy). It is expected that GPIF will announce their overseas real estate fund of fund manager soon. As GPIF have mentioned, they consider global real markets to divide by US and non US regions last year at their orientation for RFP for alternative fund managers. There is a chance that GPIF will announce appointments of multiple FoF managers and gatekeepers for global real estate investment.